When anyone joins an online sportsbook, from new sports gamblers to the experienced, they check out what offers they can get when they sign up. There isn’t a sports betting site out there that doesn’t reward their new customers with a generous welcome bonus so they can make those first few bets with a free bet. At Redbet, you can enjoy your first moments playing with a welcome bonus that offers you a £20 free bet when you sign up for the first time. Once you are registered, you can make a deposit with a minimum of £10 using the code, ‘WELCOMEFREEBET’, and place 5 bets with odds of 2.00 or higher. Your deposit bonus will then be available so you make your £20 free bet and start wagering and winning! But that’s not all, you can repeat it again on your second deposit! Just make sure all bets are settled from your first deposit before making another with a minimum of £10 to get the exact same promotion for a second time. Once you’ve enjoyed your welcome bonus to the fullest, it’s time to see what other offers Redbet has. All good bookmakers reward their customers who stay and bet with them by providing one-off and regular promotions so that their loyal fans can keep on having fun. If you are regularly betting on any sports market, Redbet like to give back to their serious customers by offering combo boosts and cash-outs to boost your winnings. 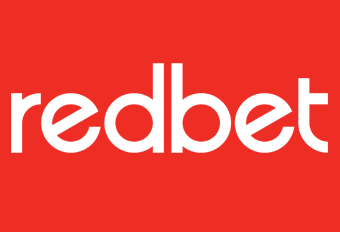 Place a pre-event combo bet with 5 selections or more and Redbet will boost your winnings up to 60% if it comes in. There are also two different types of cash-outs to take advantage of while betting with Redbet, so gamblers can take control of their wagers. The first is a full cash-out where players can take their total funds off the table so the original bet will no longer stand. This option is great for when you want to completely minimise any losses you may occur while a bet is in play. The second is a partial cash-out where a player can leave part of their stake in play in order to collect something on a possible win in the future. Anyone who wants to get a little security on their betting but still want to see how the action plays out will love this option. At other times in the football year, you can benefit from goal bonus promotions on eligible games. This fantastic bonus will see a £2 free bet for every goal your wagered team scores on selected games. Just put down £10 or more on the team of your choosing and celebrate every time they score a goal, even if they lose or draw in the end. And while you are browsing the Redbet sports offers, it would be a great opportunity to see what Redbet casino and Redbet poker deals you could take part in. Whatever your betting style, there is always something new to discover at Redbet. With the rise in online sports betting, the introduction of in-play or live betting has brought an exciting new way to play. Because odds change once a game starts, you can change your betting decisions and strategy as the action unfolds making for an exciting sporting experience. You can also take advantage of Redbet’s generous cash-out offers while live betting as you can optimise the moment to collect on winnings if you think the outcome of the game or match is going to change. Redbet’s live betting page shows every sports market where there is an ongoing sporting event in play and you can watch the odds change before your eyes. Like all sportsbooks, bonuses and promotions come subject to terms and conditions and it is useful to be aware of standard limitations before taking part in an offer. This will help you avoid any nasty surprises that can be avoided by reading all of the fine print before proceeding. A common condition with sports promotions is a time limit on the number of days that can pass before a bet can be completed. This may clash with the end date of the bet you are intending to put down, so it is wise to double check before making your selections. Minimum deposits and minimum odds are also common in sports promotions and are often stipulated in the bonus descriptions without having to look for them in the small print. What is useful to bear in mind is that the minimum odds may be different for single or combo bets, and some types of bet may be excluded altogether.